Do we really have free will? Who decides this? Are we controlled by what we hear and what we see, even while thinking we decide freely? Insider is a game that deals with these questions. While communicating to others, you have to find the right answers to a quiz or find the “insider” who is manipulating the discussion. The insider will do everything to hide their identity while misleading the others. Players are assigned roles at random, one player is the “master”, and they secretly select a word from a set given in a deck of cards. The “insider” player, whose role is not known to the other players, will then secretly view the word. The rest of the players are known as “commons”. 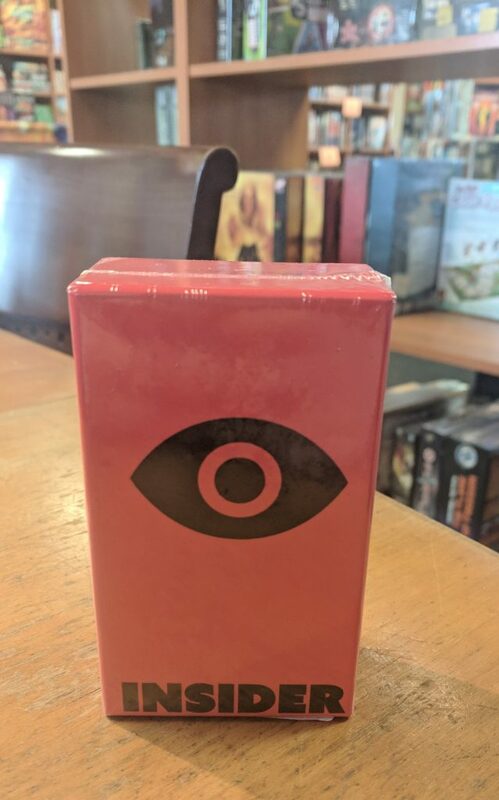 The commons then have approximately five minutes in which to ask the master “yes” or “no”-type questions so that they can deduce the secret word. The insider attempts to secretly lead the commons towards the correct word. If the commons fail to guess the correct word, everyone loses. Brave knights take up their lances, tighten their saddles, and mount their birds. 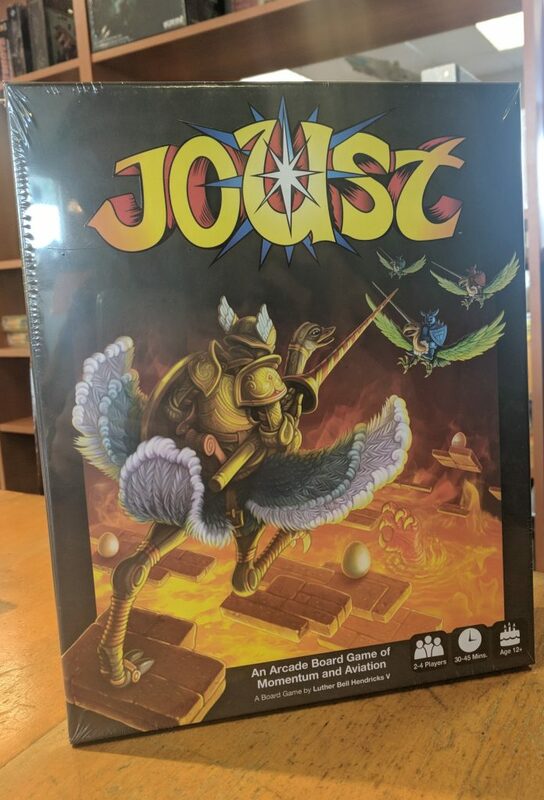 Who can defeat the most foes, capture the most eggs, and truly gain the glory of being the world’s best at Joust? 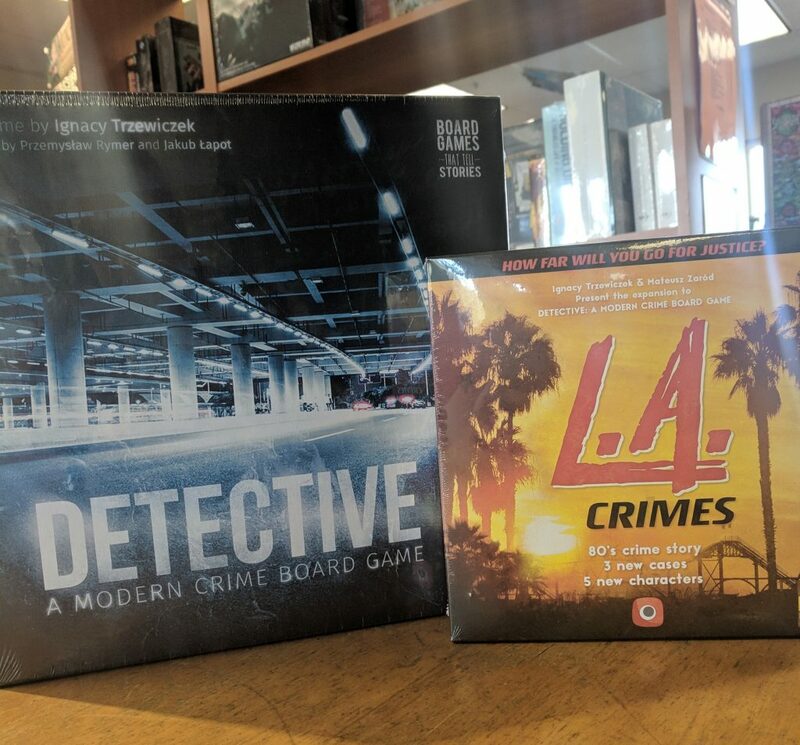 This game brings the classic video arcade game to the tabletop in an action-packed, strategy board game. Requiring players to manage the speed and altitude of their knight, Joust features a unique momentum system that has players playing cards that immediately move their knight, but repeat effects for turns to come. Act quickly, but think ahead, because in the game of Joust speed can be your greatest ally — or biggest foe. 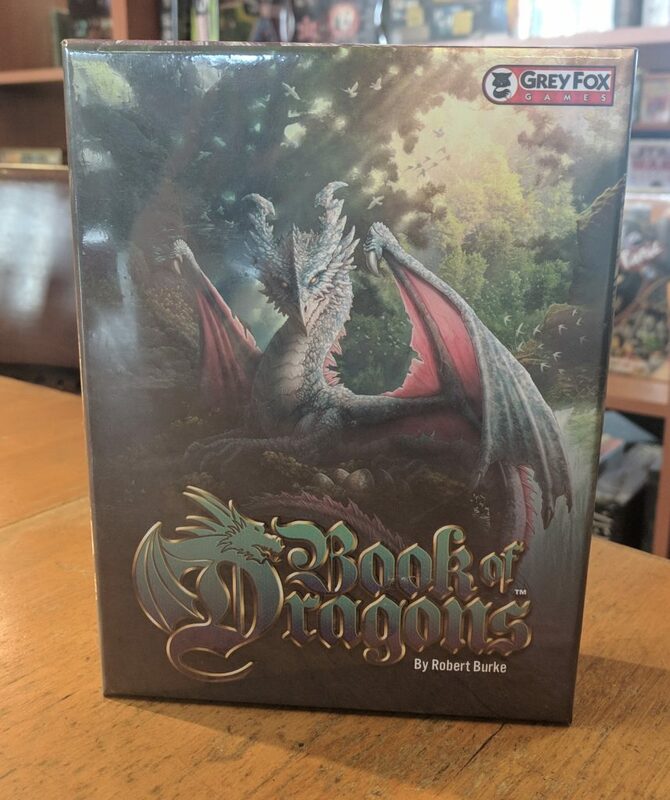 Book of Dragons is a game system featuring a deck of 40, beautifully illustrated, tarot-sized cards. The deck features four copies of ten unique dragons, with no text or iconography on any of the cards. Games are played only by use of the artwork on the cards, making all games completely language independent. There are 18 card games that can be played with the dragon cards! 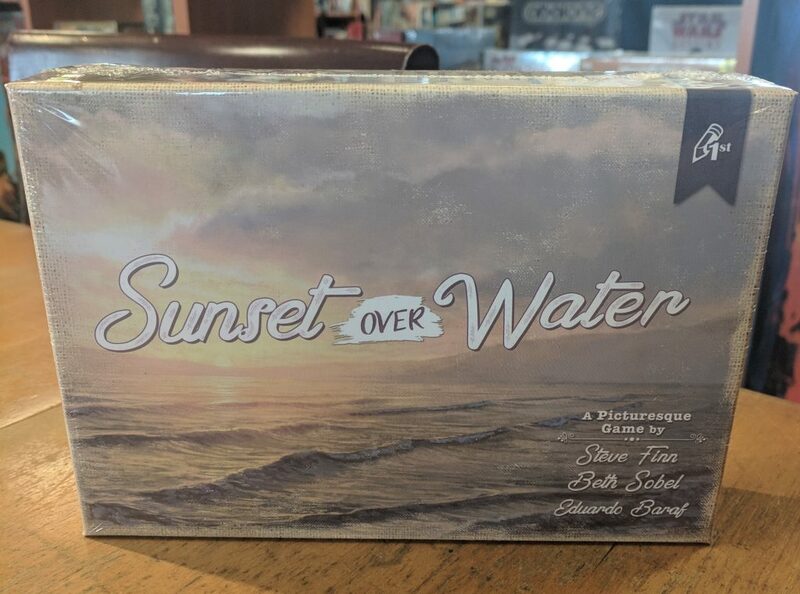 It’s a fun twist on solitaire! Sometimes you need to get off the beaten path to find a beautiful landscape to paint. Wake up early, hike deep into nature, and find your perfect spot. Some paintings sell for commissions, others you’ll keep for yourself, but you’re always going that extra mile to find inspiration. Over six days (rounds), players gain Renown by hiking to beautiful locations to paint landscapes, which they’ll later sell. Each day, players choose a Planning Card, which allows them to travel through the Wilderness and paint. At day’s end, they can sell paintings to earn Renown. Players also earn Renown by completing daily goals and by possessing landscape paintings at game’s end. 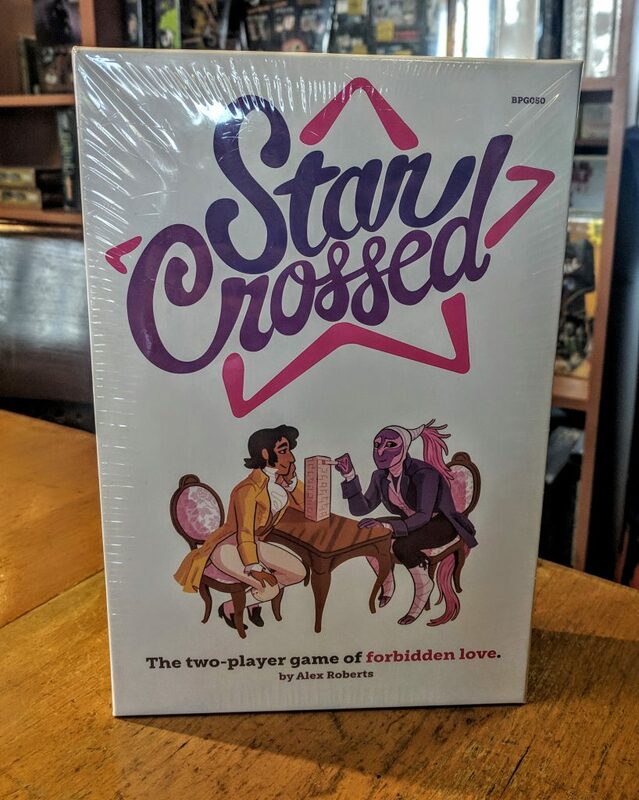 Star Crossed is a two-player game about really, really wanting to when you really, really can’t. The game is simple and quick and filled with delicious moments of excitement, tension and occasional heartbreak. So, create characters who are irresistibly drawn to each other, build a world that keeps them apart, and then pull from the tower to find out what happens. Will you tell a love story or a tragic tale? 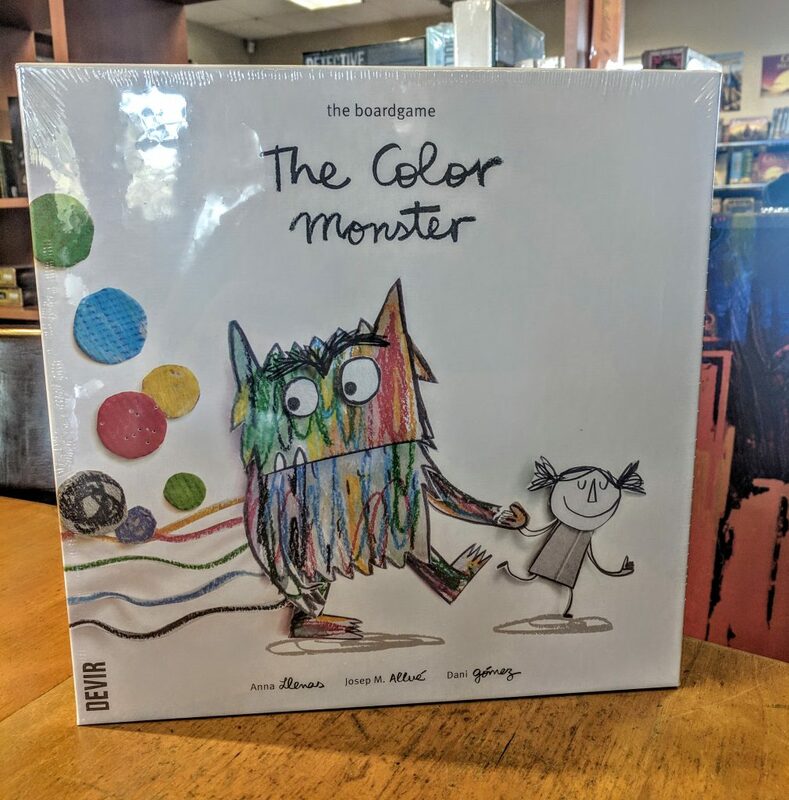 Players in The Color Monster collaborate to help the Monster figure out his emotions. In turns, they roll the die that allows them to move the Monster around the board. When the Monster goes to a space with an emotion token, the player can pick it up and look for the right jar. The jars are all placed on shelves with their colors hidden. If the player chooses the jar which matches the color of the emotion, then they can place the emotion token into the jar. Otherwise, the jar goes back to the shelf as it was. In order to pick up an emotion token, players have to explain a memory or a situation in which they feel like the emotion they are picking up (Happiness, Sadness, Anger, Fear or Calm). The players can lose the game if the Monster gets too confused and they flip over too many mixed emotion jars, or win the game when the emotions are all placed in their correct jars.